LOCAL ADOPTION ONLY - YOU LOOKIN' AT ME...??? Yay, because I am definitely looking FOR YOU! 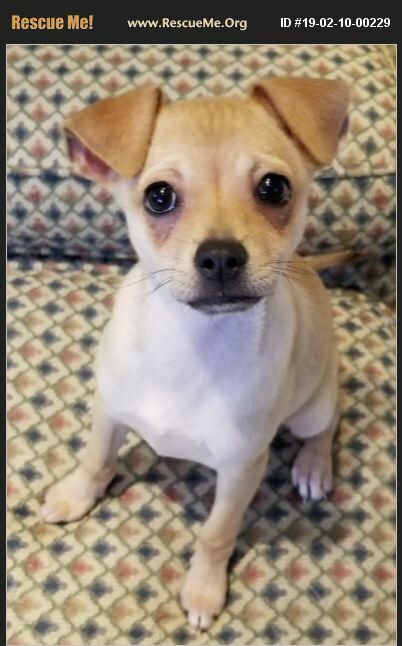 I am sweet silly Petunia, a tall and elegant 6 pound Chihuahua mix who is about 15 weeks old. My Mom and my five siblings were all left behind when my family moved. Not a very nice thing to do if you ask me but, luckily, we ended up living with the awesome folks at Floribama Small Breed Rescue. My Mom and my siblings have all been lucky enough to find their forever homes but I am still waiting for mine. I love to run and play and I have oodles of fun puppy energy so I think very small children could be overwhelmed by me. A fenced in yard is this girls dream! I love other dogs my size that have just as much energy as I do so would really enjoy a playmate to help me use up some of that energy load! I also LOVE to be with my people, mostly playing (of course), but I like snuggling and giving kisses too. I would make an excellent travelling companion. I love everyone. I am still working on my manners and potty training but both are going very well considering I'm just a baby still! With a little consistency and patience I will be the most perfect princess ever! Oh yeah, did you notice my gorgeous floppy ears? They are still working on standing all the way up. Most folks think it is pretty adorable. If you are interested in being my perfect forever family, PLEASE complete an application form for me and set up a meet and greet!